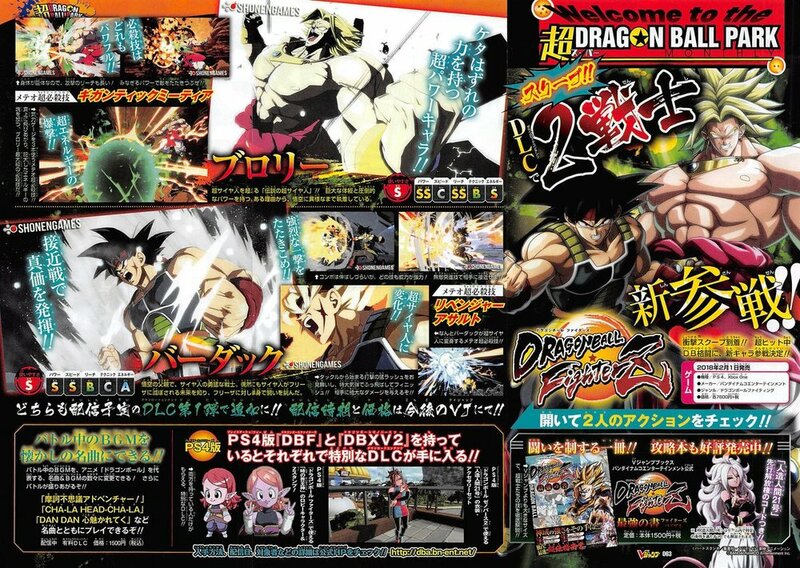 According to the latest issue of V-Jump magazine from Shonen Games, Dragon Ball FighterZ is adding two new fighters to its roster, Bardock and Broly. The father of Goku and the Legendary Super Saiyan will be released as the first downloadable characters for the fighting game. The issue gave us a sneak peak at Bardock and Broly's super moves as well. Bardock will sport his Super Saiyan form in his Special Super move, Revenger Assault, while Broly is able to launch a Gigantic Meteor attack at his foes. As players know, Special Super moves take up to three Ki bars to perform. The issue also displays Bardock using his iconic Final Revenger and Full Power Energy Wave, as seen in previous games. Meanwhile Broly can be seen firing green energy attacks and his Eraser Cannon. Bardock and Broly have no set release date or price as of yet.